Texas Ware bowl by That Retro Chick on Etsy. This story was left to me on one of my articles. I share it with you now and have made only minor typographical changes. It's stories like these that give good happy vibes on Texasware history. Thank you to Derrel Lyon for sharing! 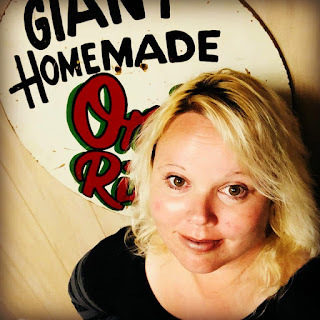 "My Story by Derrel Lyon"
I worked in the molding department at Plastics Mfg. Company (makers of TexasWare) from 1972-1980. My dad Bill Lyon worked there starting in 1946 at the Trunk Avenue plant and ended up working there as a quality control supervisor until 1980 at the Westmoreland Rd. location. It was sometime in the late 1950s when the new plant was built on S. Westmoreland in the Oak Cliff area of Dallas, Texas. The compound finishing (melamine raw material) building was added in the 1960s. Some were solid color, but most were whatever he selected of several colors of rejected melamine material put into a grinder and reprocessed into pills to be molded. As a molder, I occasionally was assigned to work the steam heated, compression hydraulic press that molded the mixing bowls. 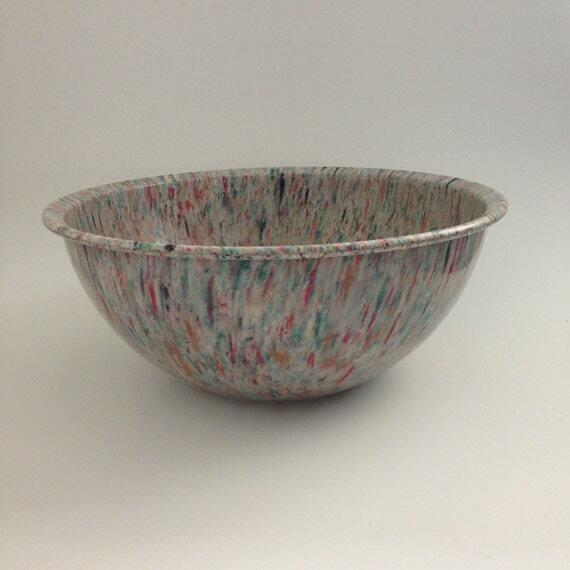 Since the melamine pills for the mixing bowls were made from rejected materials, about a fifth of the bowls that were molded had big bubbled places where the plastic "popcorned" .These bowls were totally rejected on the spot, by knocking out the bottom of the bowl on the corner of the metal work table, and then thrown into a bin. Editor Note: OMG. Imagine all these imperfect lost melmac bowls ! 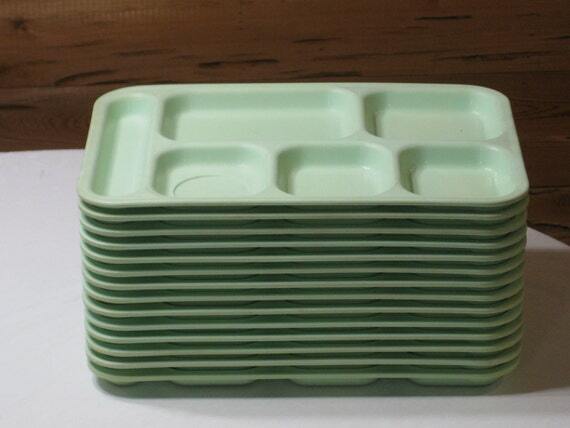 Dallas Ware was the heavier, more commercial use products ( mixing bowls, lunch trays etc. 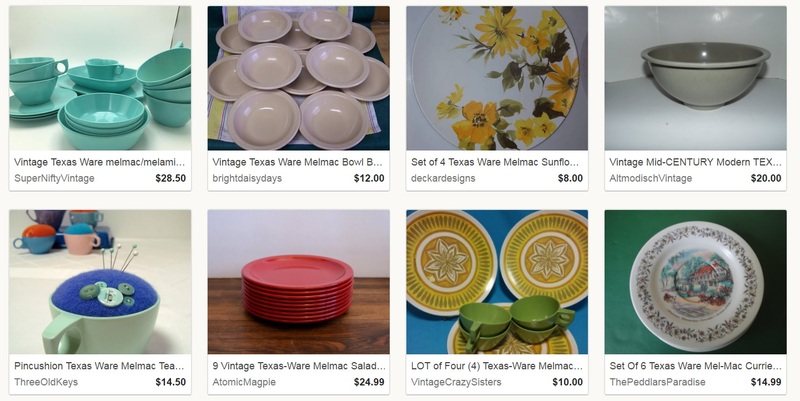 ), while Texas Ware was the lighter weight home dishware. Dallas Ware made a whole slew of industrial products for schools and cafeterias. These trays are from MizRed Etsy shop. The dinner plates with the varied designs were made in two steps. Eight (hockey puck shaped) melamine pills were heated in a (very early version) microwave oven, then each pill was placed in the center of double stacked molds. The press closed with a huge, powerful, hydraulic scissor jack. After closed the dishes cured in the mold for about a minute. When it opened, silk screened overlays (with the designs printed on them) were placed on top of each dish plate, and the mold closed again for about 30 seconds. The dishes were then removed from the mold using compressed air. The excess plastic (flashing) around the edges was knocked off, and at the end of the shift the stacked dishes were carted to the finishing room to grind and buff the edges. My brother worked in that department! I know some machines and molds were already being shipped to Mexico by the early 1980s which was the beginning of the end for Plastic Mfg Company. Thank you so much Derrel Lyon! 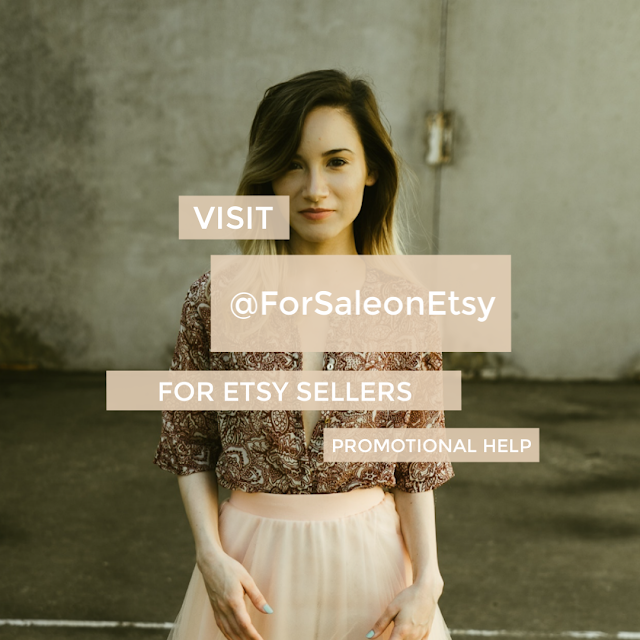 You can find TexasWare on Etsy, see some sellers below who sell TexasWare, search their shop or click on the photo to go to Etsy to find some texasware! Do you remember Charles ‘Chuck’ Spencer working there at the Westmoreland location? He retired in the mid 80s I believe.